WOW! What a celebration bringing in the New Year! 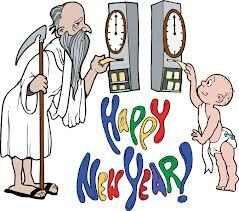 I am so happy to be Father Time representing 2013 and am looking forward to a healthy and prosperous year for all. The out-going Father Time 2012 had a great year and is relaxing on a beach somewhere in the Bahamas. A well-deserved rest. Before 2012 left, we had a chance to exchange numbers, so I updated my iPhone contacts with the “Who’s Who” for 2013. Most folks were not a surprise, but some were. I was pleased to see that data scientists were at the top of the list for 2013: a great group to help us grow and prosper in 2013. The first New Year’s Eve Ball lowering celebration atop One Times Square was in 1907. It was made of iron and wood, weighed 700 pounds, and was covered with 100 light bulbs. Over the past 103 years, seven versions of the ball have been designed to ring in the New Year. The ball is illuminated by 32,256 Philips Luxeon Rebel LED modules. Each LED module contains 48 Philips Luxeon Rebel LEDs — 12 red, 12 blue, 12 green, and 12 white for a total of 8,064 of each color. The ball is covered with 2,688 Waterford Crystal triangles, which are bolted to 672 LED modules on the aluminum frame. Knowing just some of the interesting facts from Times Square made it all the more meaningful. The traditions and practices keep the celebration energized year after year. Celebrations occur around the world, but Times Square is the rightful king of New Year’s. Simon reminded me of the importance accurate data is to the Times Square celebration and how that same mantra applies to all businesses across the world. Big data management and record linkage is the key to success and financial strength now and in the years to come. Because of that impact, data scientists like Simon will continue to be influencers in the field and be called upon to bring about success across a broad spectrum of international business. So, I hope you are sticking to the resolutions and enjoy a safe and prosperous New Year!